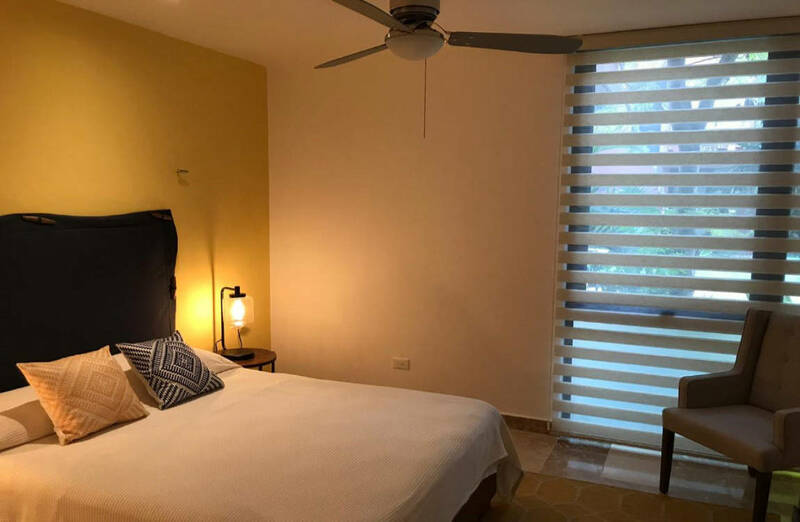 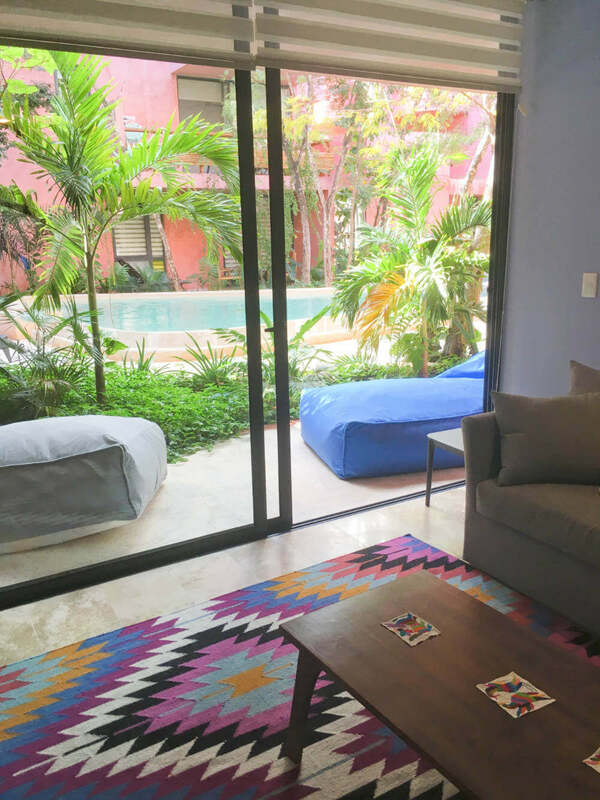 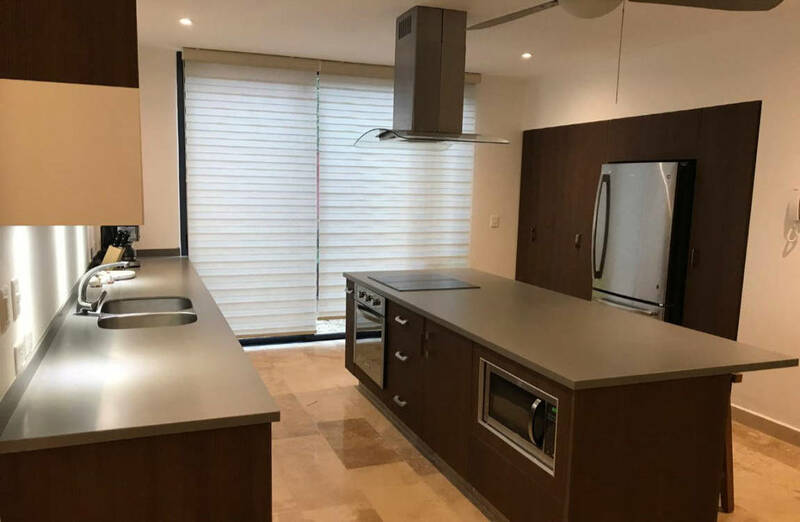 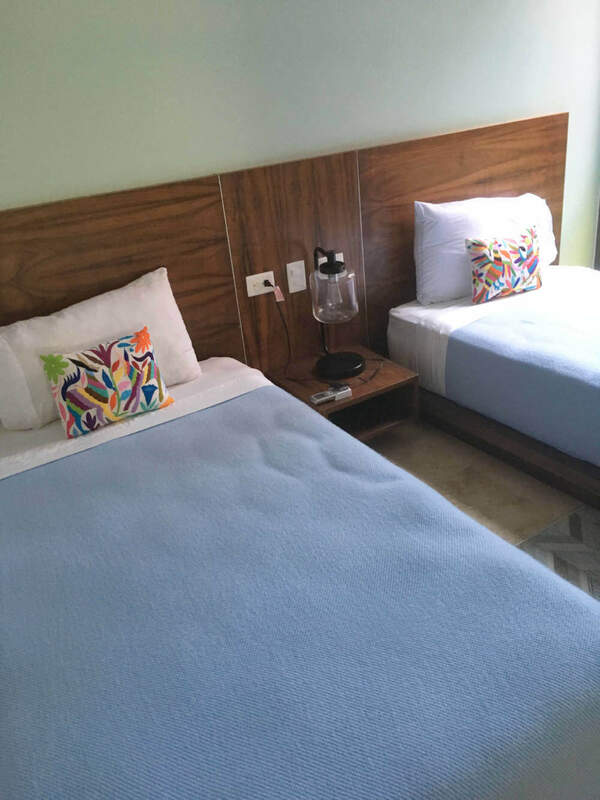 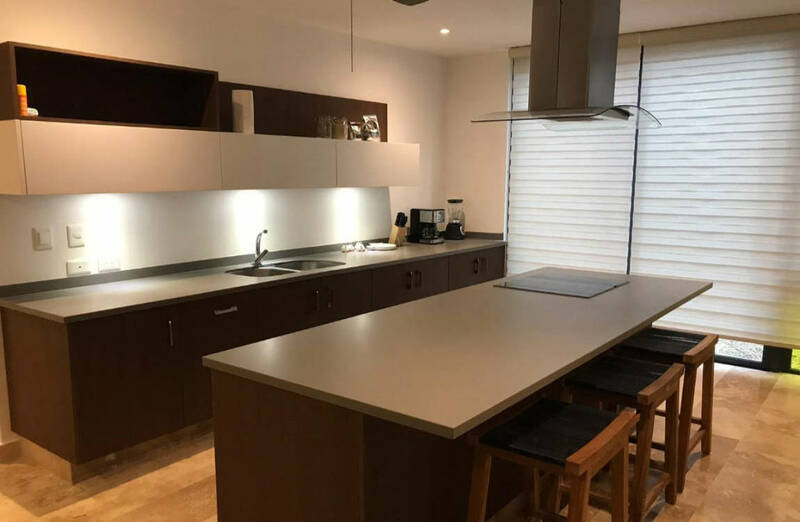 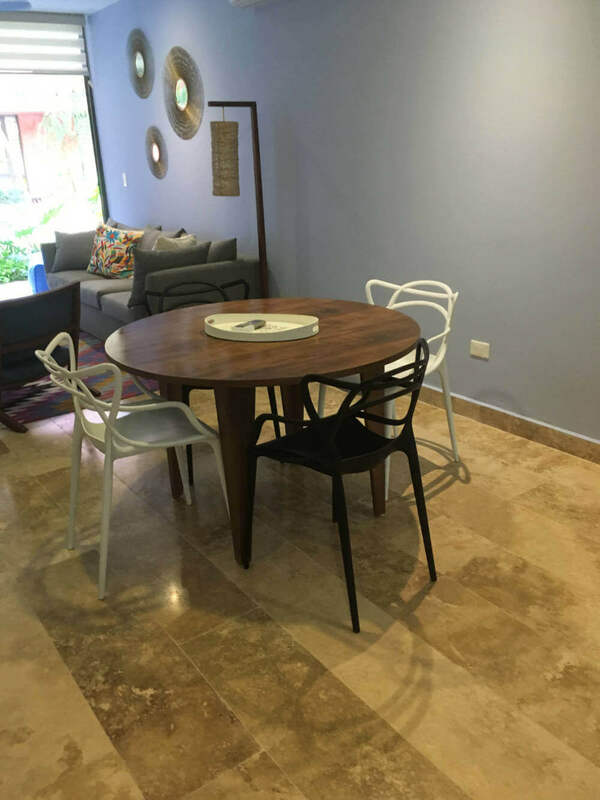 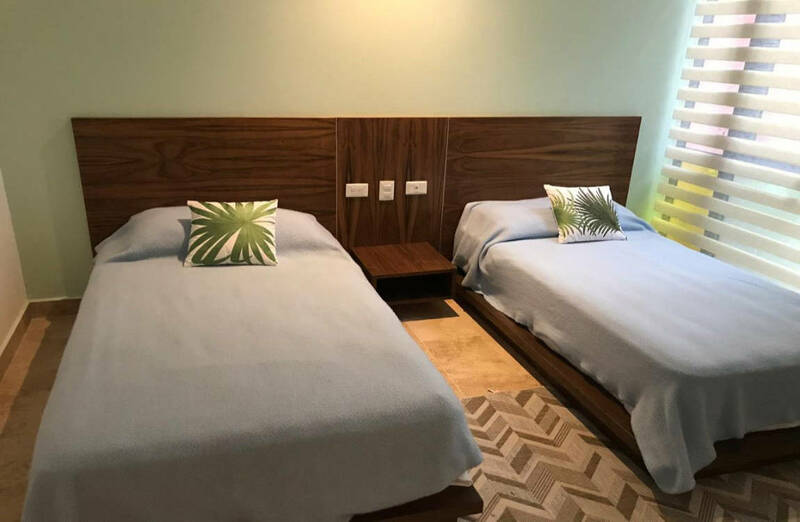 Entering Querido Tulum Condo you have the living space, with a fully equipped kitchen with island bar and extra seating, a dining room, and living room with a double sofa bed and flat screen TV. 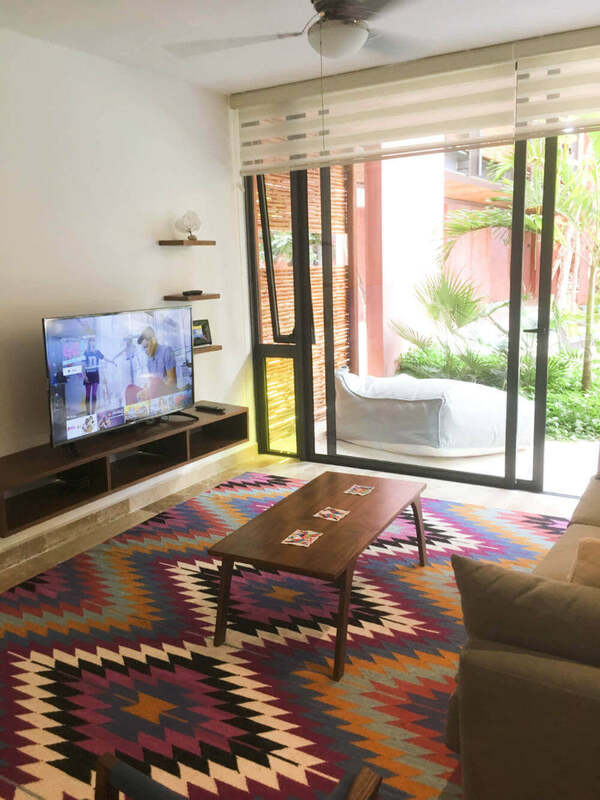 Enjoy a night in watching satellite TV, or spend it out on the town! 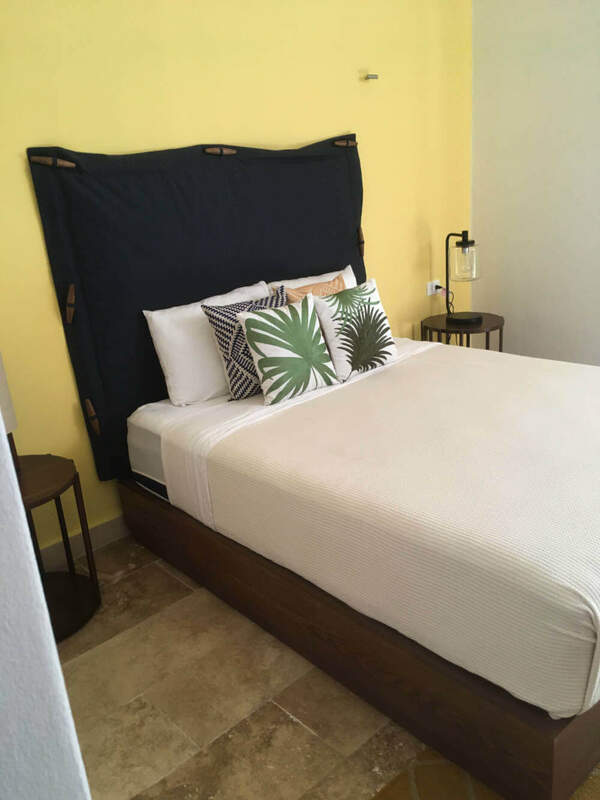 The master bedroom has a queen size bed, the guest bedroom has two twin beds. 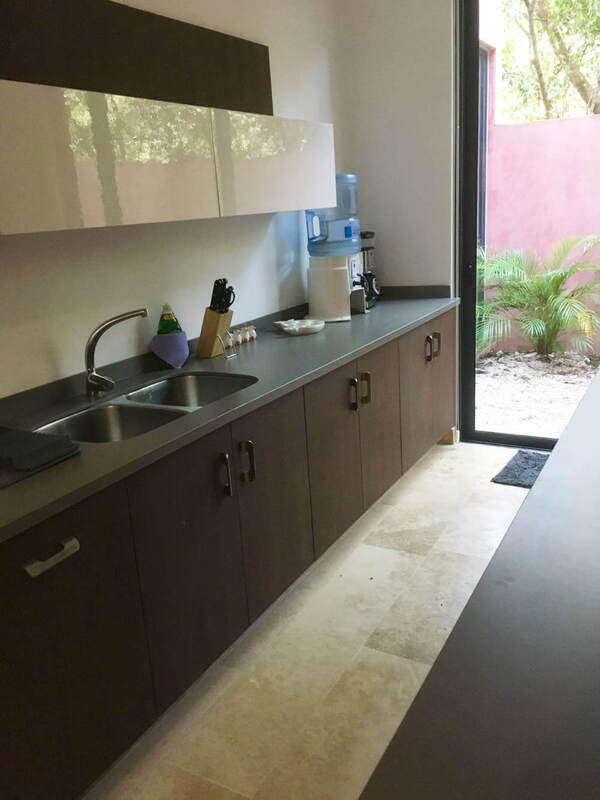 Each bedroom has a private en-suite bathroom and there is a half bath for the living area. 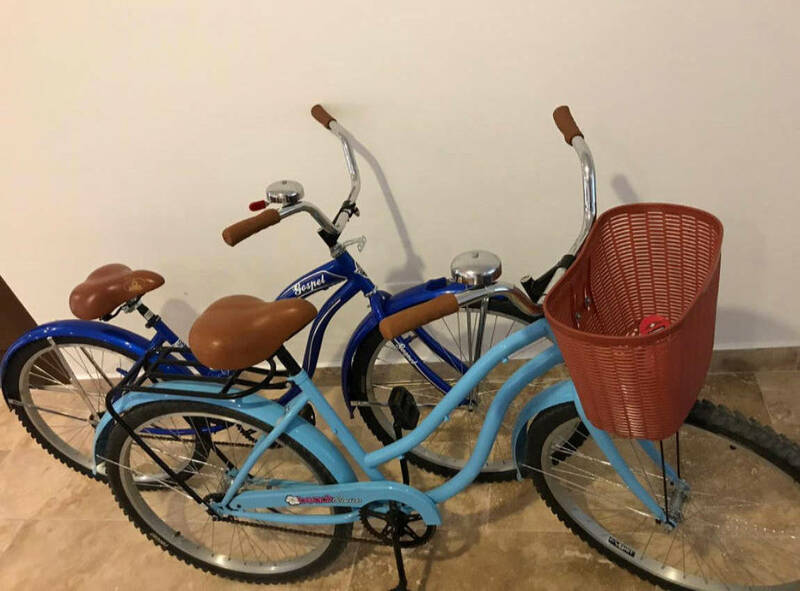 There are two bicycles for you to use during your stay and a washer/dryer in the unit. 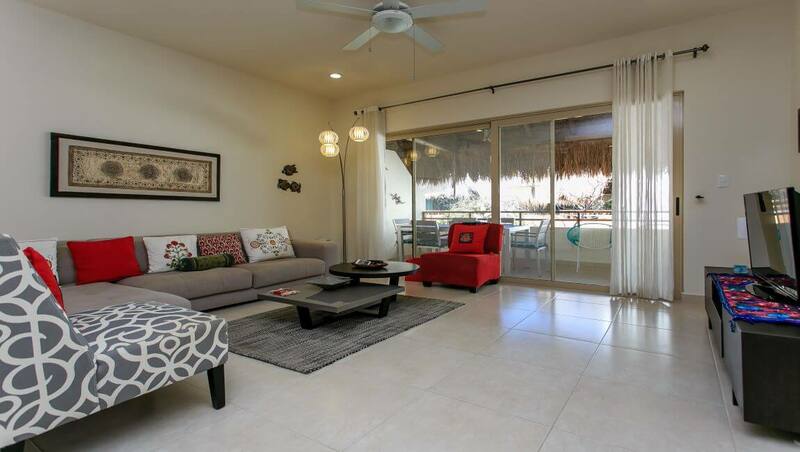 Relax on the patio that overlooks the common area pool with your morning coffee. 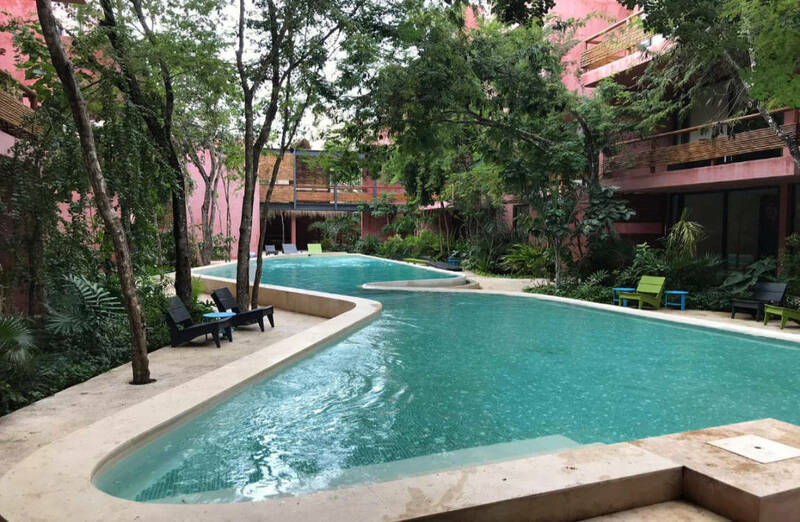 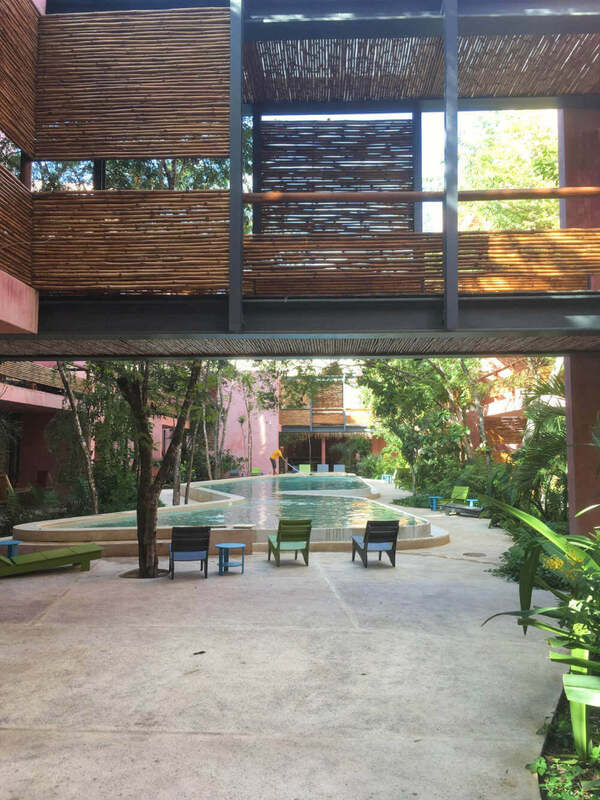 Querido Tulum has a gorgeous common area swimming pool to enjoy as well as a common area lounge, with tables for dining. 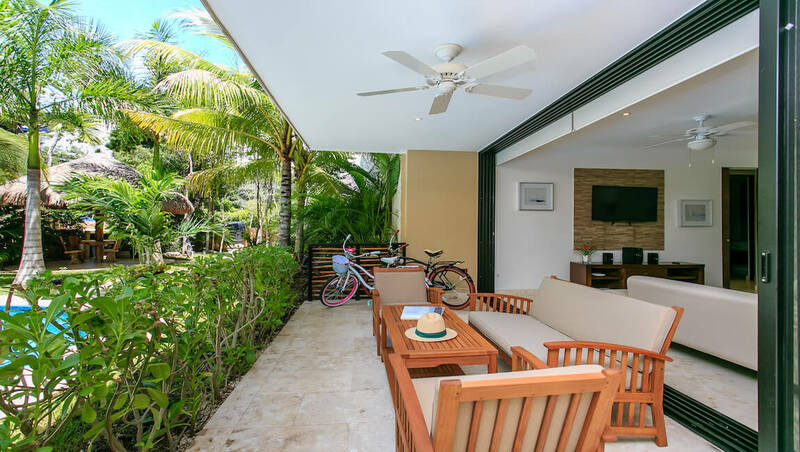 Have lunch by the pool or jump on a bike and spend the day at the beach! 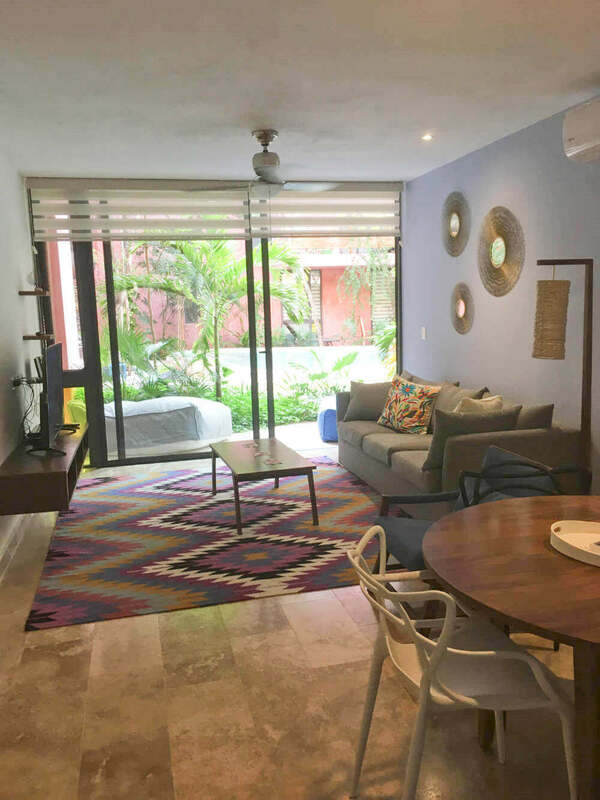 Tulum, Mexico has the best beaches in the world, and this condo is just minutes away from all the action!